Mobile Apps or Mobile Websites or Both? In 2015 there is no question that most organisations need a mobile presence. But how is this best? Do you want a mobile app or a mobile website or both? The answer depends on what you want to do and who you are trying to reach. 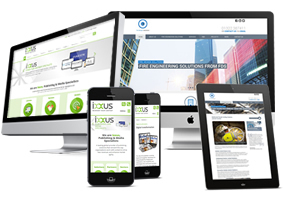 A mobile website is simply a website that is designed to function well on a mobile. It consists of browser based pages (HTML code) that contain text, images, video and audio. It can make use of mobile specific features to show location (typically for maps, directions and showing ‘nearest’ locations), easily link with photos, social accounts, email and start dialling phone calls. The information a user sees on the mobile website is downloaded from the Internet. A mobile app is quite different. It is an ‘application’ that is downloaded and installed on your phone. You need to download and use the specific type of app for your phone’s operating system. Some apps can operate without an internet connection, using stored data. Games or calculators are a good example. Apps can also access and download information from the Internet, sometimes storing this for access later when no Internet connection is available. An App is the only choice if you require functionality when no Internet connection is available. For most tasks a mobile website is more effective as it is accessed easily without download. It is also usually much lower cost and there are not issues with different operating systems. A Mobile Website is the only choice if you are interested in being found in online searches, or your content being shared with others or integrating with QR/SMS campaigns or PPC campaigns. The best way of achieving a mobile website is using a responsive website, a website that works well for all devices, including mobile, tablet and laptop. Presenting one website to all is now favoured by Google search engine, and so for marketing reasons this is the best way of acquiring a mobile website. Or of course when the CEO or Marketing Director has requested one as it appears to be the latest ‘must have’.